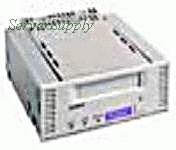 Dell - 29HUW DELL - 20/40GB DDS-4 DAT SCSI/LVD INTERNAL AUTOLOADER TAPE DRIVE (29HUW). IN STOCK. SAME DAY SHIPPING. Dell - W7014 DELL - 20/40GB DDS-4 4MM DAT SCSI/LVD-SE INTERNAL TAPE DRIVE (W7014). IN STOCK. SAME DAY SHIPPING. Dell - 5F070 DELL - DDS4 20/40GB DAT INTERNAL SCSI TAPE DRIVE (5F070). IN STOCK. SHIP SAME DAY. Seagate - TC4200 SEAGATE - 20/40GB DDS-4 4MM DAT SCSI/LVD-SE INTERNAL TAPE DRIVE (TC4200). IN STOCK. SAME DAY SHIPPING. Seagate - STD2401LW SEAGATE - DAT DDS4 20/40GB U2 LVD SCSI 68 PIN INTERNAL TAPE DRIVE (STD2401LW). IN STOCK. SHIP SAME DAY. 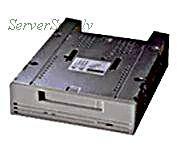 Hewlett Packard - C1525G HP/COMPAQ - 2/4GB SURESTORE 2000 DDS DAT SCSI/SE INTERNAL TAPE DRIVE (C1525G). IN STOCK. SAME DAY SHIPPING. Hewlett Packard - 199464-201 HP/COMPAQ - 4/16GB DAT DDS-2 SCSI INTERNAL TAPE DRIVE (199464-201). IN STOCK. SHIP SAME DAY. Dell - 5C999 DELL - 20/40GB DDS-4 DAT SCSI/LVD INTERNAL HH TAPE DRIVE (5C999). IN STOCK. SAME DAY SHIPPING. Dell - 0H834 DELL - DDS4 20/40GB DAT INTERNAL SCSI TAPE DRIVE (0H834). IN STOCK. SAME DAY SHIPPING. IBM - 16G8454 IBM - 4/8GB DDS-1 4MM DAT SCSI/SE INTERNAL HH TAPE DRIVE (16G8454). IN STOCK. SHIP SAME DAY. Sony - SDT11000 SONY - DDS-4 20/40GB DAT SCSI-LVD/SE 68 PIN INTERNAL TAPE DRIVE (SDT11000). IN STOCK. SHIP SAME DAY. Sony - SDT-11000 SONY - DDS-4 20/40GB DAT SCSI-LVD/SE 68 PIN INTERNAL TAPE DRIVE (SDT-11000). IN STOCK. SHIP SAME DAY. IBM - 59P6670 IBM - 20/40GB DDS4 DAT WIDE ULTRA SCSI-2 LVD 68-PIN INTERNAL TAPE DRIVE (59P6670). IN STOCK. SHIP SAME DAY. IBM - 09N0982 IBM - 12/24GB DDS3 DAT 4MM SCSI/SE INTERNAL TAPE DRIVE (09N0982). IN STOCK. IN STOCK. SHIP SAME DAY. IBM - 48P7040 IBM - 20/40GB DDS4 DAT SCSI LVD 68-PIN INTERNAL TAPE DRIVE (48P7040). IN STOCK. SHIP SAME DAY. IBM - 48P7038 IBM - 20/40GB DDS4 DAT SCSI LVD 68-PIN INTERNAL TAPE DRIVE (48P7038). IN STOCK. SHIP SAME DAY. IBM - 00N7991 IBM - 20/40GB DDS4 DAT SCSI LVD 68-PIN INTERNAL TAPE DRIVE (00N7991). IN STOCK. SAME DAY SHIPPING. IBM - 09N0731 IBM - 20/40GB DDS4 DAT SCSI LVD 68-PIN INTERNAL TAPE DRIVE (09N0731). IN STOCK. SHIP SAME DAY. IBM - 09N0980 IBM - 20/40GB DDS4 DAT SCSI LVD 68-PIN INTERNAL TAPE DRIVE (09N0980). IN STOCK. SHIP SAME DAY. IBM - 24P2414 IBM - 20/40GB DDS4 DAT SCSI LVD 68-PIN INTERNAL TAPE DRIVE (24P2414). IN STOCK. SAME DAY SHIPPING. 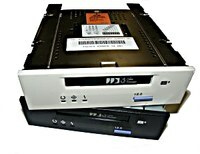 Sony - SDT-11000-PB SONY - DDS-4 20/40GB DAT SINGLE ENDED/LOW VOLTAGE DIFFERENTIAL SCSI 68 PIN INTERNAL TAPE DRIVE (SDT-11000/PB). IN STOCK. SHIP SAME DAY. 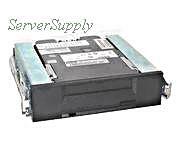 Hewlett Packard - C1539-69202 HP/COMPAQ - 4MM 4/8GB DDS2 DAT SCSI INTERNAL TAPE DRIVE (C1539-69202). IN STOCK. SAME DAY SHIPPING. 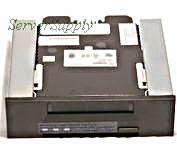 Hewlett Packard - 153618-001 HP/COMPAQ - 20/40GB DDS-4 4MM DAT INTERNAL TAPE DRIVE (153618-001). IN STOCK. SAME DAY SHIPPING. IBM - 59H3879 IBM - 12/24GB DDS-3 DAT SCSI/SE INTERNAL TAPE DRIVE (59H3879). IN STOCK. SHIP SAME DAY. Hewlett Packard - C1528K HP/COMPAQ - DDS-2 4/8GB SURESTORE DAT8I SCSI INTERNAL TAPE DRIVE (C1528K). IN STOCK. SAME DAY SHIPPING. Hewlett Packard - C1528J HP/COMPAQ - 4/8GB DDS2 DAT8 INTERNAL TAPE DRIVE (C1528J). IN STOCK. SAME DAY SHIPPING. 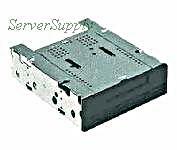 Hewlett Packard - C1528H HP/COMPAQ - 4/8GB SCSI DDS2 DAT8 DRIVE INTERNAL TAPE DRIVE (C1528H). IN STOCK. SAME DAY SHIPPING.